Contemplation that needs focus and these insights would drive the solution provider in you to think of coming up innovations and provide solutions. Read ON! The provision of a service includes a trade of value between parties. This compensation is known as a salary or wages. This payment can often present difficulty. There are industries that are more prone to issues than others, such as hospitals, restaurants and the retail industry respectively. This is because they employ an abundance of part time and casual workers. There are cases where handling their payment can become controversial. Even though a large majority uses the terms interchangeably, they are different. Essentially, salaries are paid to employees for a fixed time period. They are subject to increments and appraisals, depending on the duration served. On the other hand, wages are generally paid by the hour. They are more appropriate for part time and casual workers. While salaries are paid on a scheduled date, wages are not well defined and can also vary according to categories. Many countries have introduced tiers which pay workers according to their age brackets. Part time workers do not have the same benefits that salaried employees do. Once the government determines the minimum wage, employers must be ready to comply or face penalties. Consider the minimum wage in Australia, which is 18.29 dollars per hour. It will only be increased by a fraction annually. For instance, it was only increased by just 3.3% in 2017 and a mere 2.4% the previous year. The concept of minimum wage also creates ceilings for part time employees. This may affect their willingness to seek new jobs. This concept affects those receiving unemployment benefits, for instance. 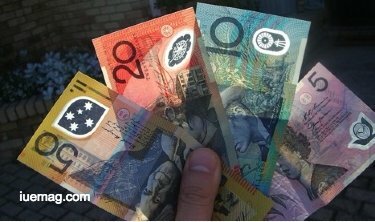 If an Australian citizen is receiving a handsome amount from the state and it is greater than the national minimum wage, then they may lose their motivation to work. There are also fewer guarantees when it comes to part time jobs. A salary will be set when the employment contract is signed. Since both parties are bound by the agreement, they must adhere to it. Jobs which pay wages do not give workers any aspect of job security. Skilled labour is harder to recruit, but companies can hire other workers for menial tasks easily. We can examine the employer perspective also. If wages increase, so will the cost of operation for firms. They may face a clear disadvantage since their competitors might be outsourcing some of their work. Options like outsourcing allow a business to benefit from paying less to employees although the same level of work is done. Employees who are part of industries like restaurants and hospitals may be unskilled or untrained. For example, a pizza delivery chain will not require qualified personnel. A receptionist at a hospital will also need little or no formal education. This will mean that workers, particularly younger ones will enjoy fewer opportunities to grow. Any facts, figures or references stated here are made by the author & don't reflect the endorsement of iU at all times unless otherwise drafted by official staff at iU. This article was first published here on 20th April 2018.